In 1828, Ányos Jedlik, a Hungarian who invented an early type of electric motor, created a tiny model car powered by his new motor. In 1834, Vermont blacksmith Thomas Davenport, the inventor of the first American DC electric motor, installed his motor in a small model car, which he operated on a short circular electrified track. In 1835, Professor Sibrandus Stratingh of Groningen, the Netherlands and his assistant Christopher Becker created a small-scale electrical car, powered by non-rechargeable primary cells. In 1838, Scotsman Robert Davidson built an electric locomotive that attained a speed of 4 miles per hour (6 km/h). In England, a patent was granted in 1840 for the use of tracks as conductors of electric current, and similar American patents were issued to Lilley and Colten in 1847. Sources point to different creations as the first electric car. Between 1832 and 1839 (the exact year is uncertain) Robert Anderson of Scotland invented a crude electric carriage, powered by non-rechargeable primary cells. In November 1881, French inventor Gustave Trouvé demonstrated a working three-wheeled car powered by electricity at the International Exposition of Electricity, Paris. 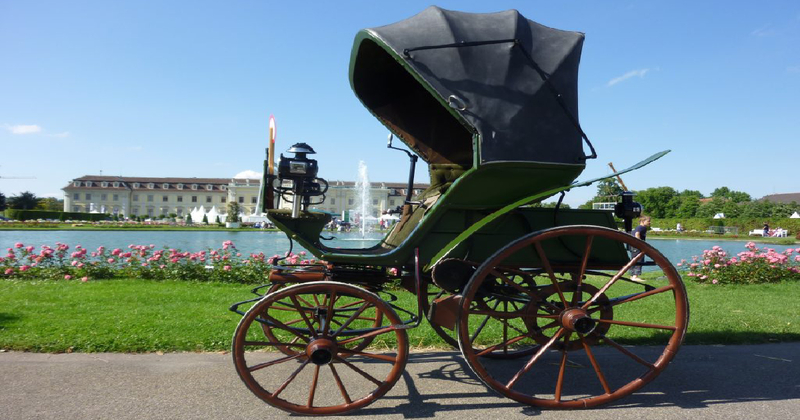 But others regard the Flocken Elektrowagen of 1888 by German inventor Andreas Flocken as the first true electric car. Electric cars enjoyed popularity between the late 19th century and early 20th century, when electricity was among the preferred methods for automobile propulsion, providing a level of comfort and ease of operation that could not be achieved by the gasoline cars of the time. Advances in internal combustion technology, especially the electric starter, soon rendered this advantage moot; the greater range of gasoline cars, quicker refueling times, and growing petroleum infrastructure, along with the mass production of gasoline vehicles by companies such as the Ford Motor Company, which reduced prices of gasoline cars to less than half that of equivalent electric cars, led to a decline in the use of electric propulsion, effectively removing it from important markets such as the United States by the 1930s. However, in recent years, increased concerns over the environmental impact of gasoline cars, higher gasoline prices, improvements in battery technology, and the prospect of peak oil, have brought about renewed interest in electric cars, which are perceived to be more environmentally friendly and cheaper to maintain and run, despite high initial costs, after a failed reappearance in the late-1990s. Posted in History and tagged first three-wheeled car powered by electricity, quicker refueling times, the greater range of gasoline cars, The History of the Electric Car, the inventor of the first American DC electric motor, who built first electric locomotive.